Sebastopol offers delightful activities for many types of visitors. • Tour d’Organics (August), involving rest stops and gourmet refreshment at local organic farms. 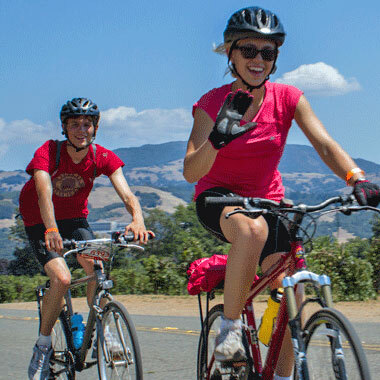 This ride benefits the Sebastopol Community Cultural Center. • Tour de Fuzz (September) is a benefit for the Law Enforcement Chaplaincy of Sonoma County. These volunteers provide spiritual counseling to first responders and crime victims coping with especially difficult experiences. 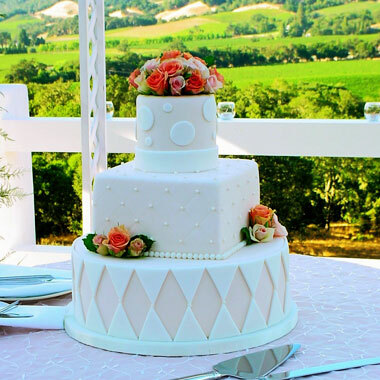 Sebastopol offers the perfect venue for couples looking for a wine country wedding with an artistic flair. There are many indoor and outdoor venues. We have caterers of all stripes. Musicians, Pastry Chefs and Florists, abound. In addition, there are many photographers and videographers who work and live in Sebastopol. And if you are looking for a fun environment and unique lodging experience for your relatives before and after the celebration, check out the rest of this website. Sebastopol can’t be beat! 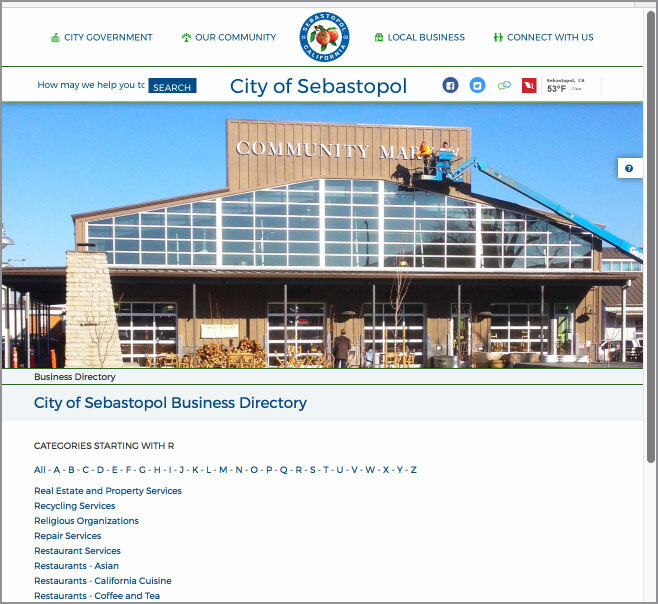 If you have kids who like to run, play and move, Sebastopol is an excellent family vacation spot. Our solar-heated swimming pool at Ives Park is open year round. We have several parks with play structures, and in particular, our Laguna Skategarden Park is a fun place to take your skateboarders, or even just watch the locals as they navigate the graceful hills of this 15,000 square foot outdoor facility. Like to hike? We recommend the wetland trails at the Laguna de Santa Rosa , or the oak savannah of Ragle Ranch Park. There are certainly bike trails that are good for kids, especially the flat Joe Rodota Trail that travels east across the Santa Rosa plain. Other activities for kids include make-it-yourself pottery and glass fusion , our bookstores and toy store, the art supply store and various drop-in classes and activities offered by the Sebastopol Community Cultural Center and the Sebastopol Center for the Arts. 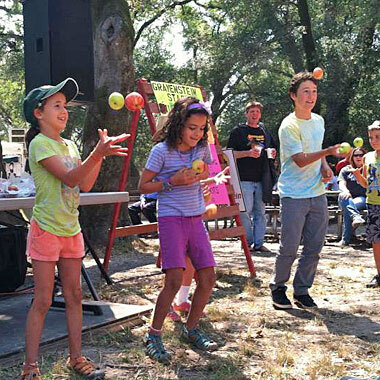 And don’t forget the Gravenstein Apple Fair each August, known as the “sweetest little fair in Sonoma County.” There are petting zoos, draft horses, pie-eating contests, apple juggling contests, bubble-making, face-painting and all kinds of fun and fanciful activities. In terms of food, we have many family-friendly restaurants. And no visit to Sebastopol is complete without our locally made ice cream, or a build-it-yourself gastromolecular ice cream dessert. When it’s time to lay your head down and sleep, consider spending the night at an area farm. Many of the Farm Stays provide opportunities for kids to go out and gather the eggs for breakfast or even help to milk the goats. Now that’s a stay to remember! You may have heard of a couple’s mud bath in Calistoga. In Sebastopol, we recommend a couple’s cedar enzyme bath. Nestled in the nearby town of Freestone, this classic Japanese treatment provides an eastern experience of serenity and grace amid beautifully landscaped meditation gardens at the edge of the redwood forest. Many couples choose to enjoy romantic walks in nature during the day and make Sebastopol their home base for more sophisticated evening repasts. If you fancy a walk along the beach, for instance, the wild and rugged northern California coast is a mere 30 minutes away. 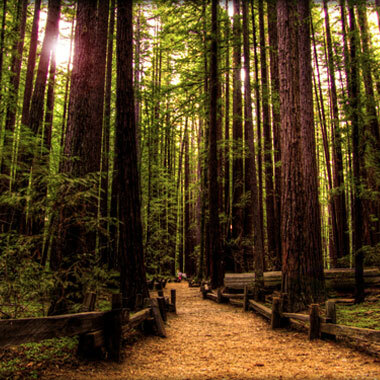 Certainly a walk in the redwoods provides an awe-inspiring stroll through centuries’ old forests, only 20 minutes north of Sebastopol, an easy drive up the Gravenstein Highway. 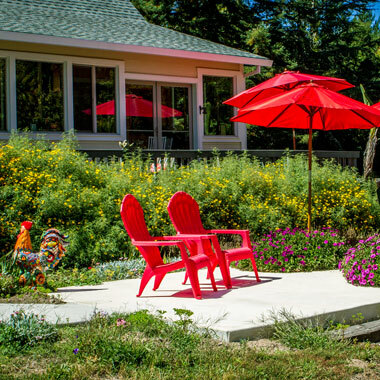 For unique lodging experience, the town of Sebastopol has numerous home stay options. Or you might want to stay on a nearby local farm and enjoy a bit of rural respite from busy urban life. Wine tasting is plentiful with outlets for many small local vintners. As for dinner, Sebastopol boasts many farm-to-table restaurants, as well as restaurants with celebrated chefs and live musicians. 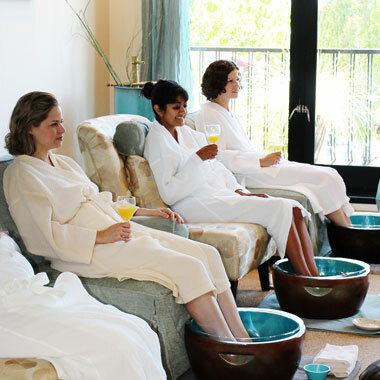 Sometimes a gal’s just got to get away from the pressures of work and household duties and immerse herself deeply in the healing laughter of a weekend spent “just us girls.” If you are planning a girl’s getaway, Sebastopol is home to many health and wellness practitioners, including day spas with massage, facials, and mani-pedi specials. Interested in herbal treatments? Organic products? Our spas specialize in green and complimentary modalities. Fashionistas will enjoy the many clothing stores in Sebastopol, from artisan and designer specials to wild costumes and a great selection of used and vintage clothing boutiques. Enjoy a stroll along Florence Ave, delighting in the whimsical folk art sculptures of neighbor, Patrick Amiot. Or commune with Nature at the Laguna or in Ragle Ranch Park. And no girls’ getaway is complete without a West County High Tea, serving a wide range of teas with cucumber sandwiches, warm cream scones, Meyer lemon curd, savory pastries and chocolate delights. Sebastopol has wonderful restaurants for all palates and budgets. And there are several wine tasting rooms within an easy walk of downtown. Interested in theater? Check out a play at Main Stage West. Or reserve your seat at the Rialto’s closed circuit broadcast of the Bolshoi Ballet, the Metropolitan Opera or London’s National Theater Live. Like art? Give yourself an artist’s date and wander through the many galleries and artisan stores in town. Or plan your weekend to coincide with our two Open Studio Tours: Art at the Source in June or Sonoma County Art Trails in October.